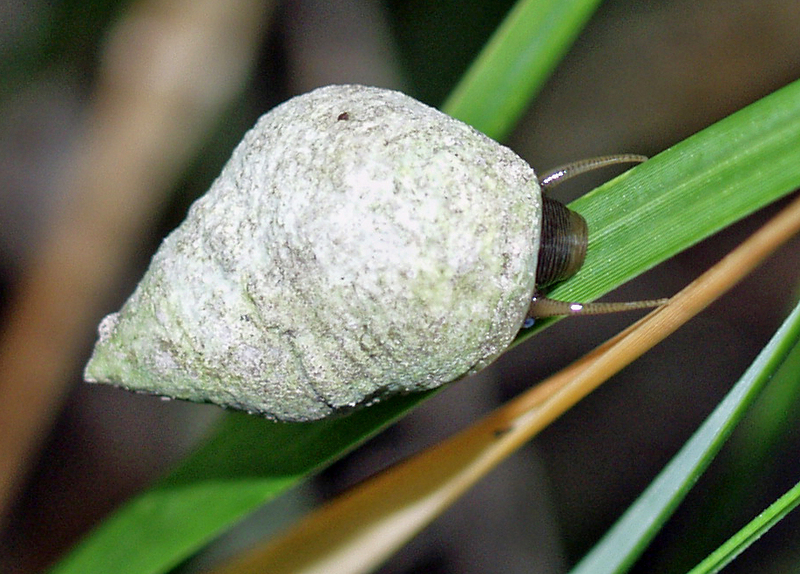 The snail Littoraria irrorata is one of the most important invertebrates in US coastal salt marshes on the Atlantic and Gulf coasts. A number of papers have shown that the BP Deepwater horizon oil spill killed adult Littoraria. But did the plume of oil in the water affect larvae that were due to become the next generation of snails? This is hard to address because no-one took the right samples of plankton or of newly-recruited snails the year of the oil spill. So Steve and colleagues took an indirect approach. Littoraria size-frequency distributions are bimodal, with a peak of small snails representing snails in their first year and a peak of larger snails representing all the older snails (they may live as long as 20 years). By examining the ratio of the two peaks, you can get a sense of whether the 1 year old age class is at normal densities or reduced. Size-frequency distributions are commonly measured, so there were lots of literature data on “normal” size-frequency distributions for Littoraria from both the Gulf and the Atlantic Coast. Comparing these distributions between geographic regions and among years, they found: 1) recruitment appeared to be greater in the Atlantic than the Gulf, 2) there was a dramatic drop in 1 year old snails in Louisiana in 2011, consistent with the possibility that the 2010 oil spill killed larvae in the water (this drop was at sites that were not oiled, so it was not due to post-recruitment mortality), and 3) this drop in 2011 did not happen in the Atlantic, so it wasn’t simply due to it being a “bad year” everywhere–it was a bad year in Louisiana. Coauthors included Pennings lab alumna Carolin McFarlin, GCE-LTER colleagues Merryl Alber and Dale Bishop, and old UGAMI colleague Keith Walters. Pennings, S. C., S. Zengel, J. Oehrig, M. Alber, T. D. Bishop, D. R. Deis, D. Devlin, A. R. Hughes, J. J. Hutchens, W. M. Kiehn, C. R. McFarlin, C. L. Montague, S. Powers, C. E. Proffitt, N. Rutherford, C. L. Stagg, K. Walters. 2016. Marine ecogregion and Deepwater Horizon oil spill affect recruitment and population structure of a salt marsh snail. Ecosphere 7(12)e01588, DOI: 10.1002/ecs2.1588. Bennett et al. 2017, Plant-soil feedbacks and mycorrhizal type influence temperate forest population dynamics. Science 355:181-184. Kurt studying something. From his website. Looks scientific. The first paper from Huy’s dissertation is now published in Ecology. Huy compared four species of burrowing crabs and shows how one of them, Sesarma reticulatum, engineers the growth of headward-eroding creeks in tidal marshes in Georgia and South Carolina. 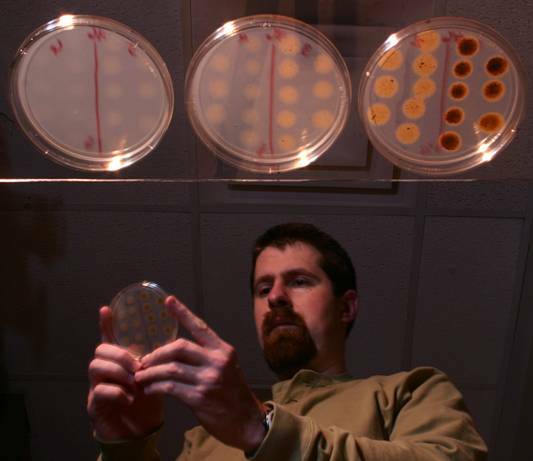 This work got going with a phone call from Duncan FitzGerald at Boston University to Steve a number of years ago, and it has been a pleasure to interact with the FitzGerald lab as the work has progressed. The photograph shows the head of an eroding creek, with the area to the bottom left heavily burrowed by crabs, the central area soft unconsolidated mud, and the area to the upper right re-vegetating along the creek channel. The pipes and wood are part of an experiment (more on that when we get to paper 4…). Read all about it: Vu, H., K. Wieski, S. C. Pennings. 2017. 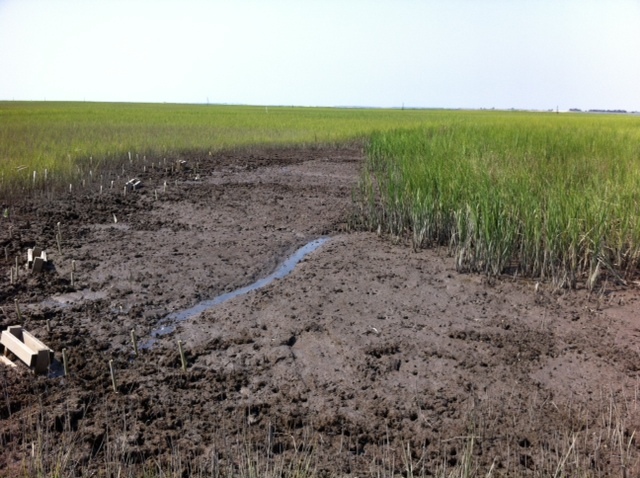 Ecosystem engineers drive creek formation in salt marshes. Ecology 98:162-174.